Firehouse subs were one of the tastiest food that I’ve ever had when I was travelling to Huntsville, Alabama for a training in October. 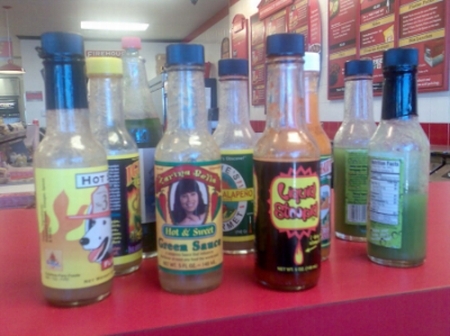 In a short period of 2 weeks, I had been there 4 times just to try the different variety of subs that they offered, and of course, their HOT sauces! If I’ve remember the name correctly, this is the firehouse engineer sub. Man, they were really really nice. Tha’ve got ham, cheese,vege, and some mushrooms in it. Juicy and delicious. Personally, I think they taste better and cost less compared to Subway. How I wish it can be found in Australia or even in Malaysia. Unlike the stingy subway, you can pour as many sauce as you like. Beware of those with red/black label and those with the keyword “HOT”, they really mean it! Meanwhile, news has just been released that Firehouse Restaurant Group Inc. expects its largest expansion in a single year when it opens 100 new restaurants in 2008, many in markets the company has never franchised. Co-founder Robin Sorensen said growing to 400 Fire-house Subs restaurants by the end of 2008 would put the company on a new restaurant radar. After 13 years in the sub sandwich business, the company has 303 restaurants in 14 states and counting. In each of the past four years, Firehouse has opened at least 50 new restaurants. New markets in 2008 and years to come include Indiana, Maryland, Michigan, Missouri, New Jersey, New Mexico, New York, Ohio, Pennsylvania and Utah. The largest expected growth, based on market research and geographic mapping, will be in Illinois, where Firehouse plans 130 stores over five years in the Chicago area. 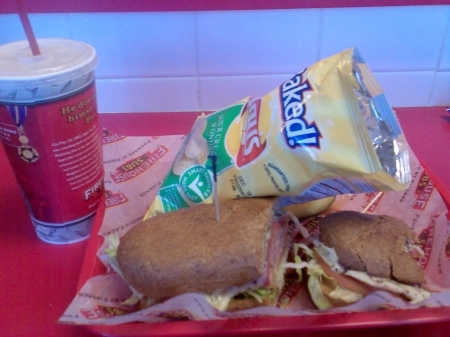 Firehouse subs are the best, I also had the pleasure of having several of thier subs while at training in Huntsville. It was so good I took other people that we were there with, it became and instant hit that we occasioned many times during out two week training event. Best sub, better than Subway or Quiznos.